The bicycle accessory manufacturer Trelock is not an unknown sheet for us. We have already introduced some products manufacturer in our magazine and tested in practice. Today we introduce a new product, the Trelock LS 360 I-Go. A bicycle lamp for normal city traffic. As always, we look at each processing, the weight, the burn time, the assembly and the brightness. The lamp is made in Germany and has a valid FR approvals for Germany. Trelock LS 360I-Go was delivered in a small box. Internal routing everything you need for the installation and operation of the lamp. 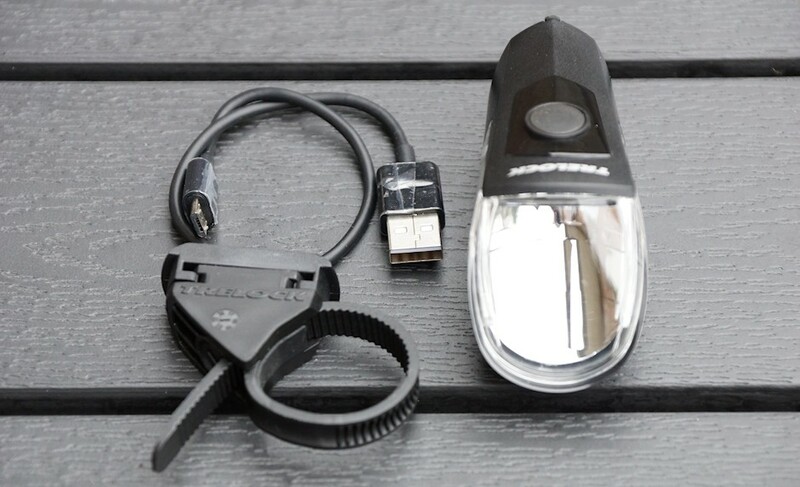 There is a USB cable (very short), a handlebar mount and the bicycle headlights even in the box. Also included, an installation manual. Anyone looking for a fold-out list here, which will look in vain. The mounting instructions are printed on the inside of the box. As usual at Trelock, the assembly becomes easy and uncomplicated. Currently, however, not without tools. To attach the bracket to the handlebar, the screw is turned out with a screwdriver. The flap is then opened on one side and the holder can be placed around the handlebar. Following pulling the tab back through the corresponding hole, pulls it tight carefully and counters, and fixed the whole thing with the screw. On the tab, and on the screw is a thread, both overlap and pull so tightly. This bracket is suitable (manufacturer) for pipe diameters from 22 to 32 mm. The holder also has the option to the left and rotate right. Thus we have an axis movement in 4 directions. High and down, left and right. 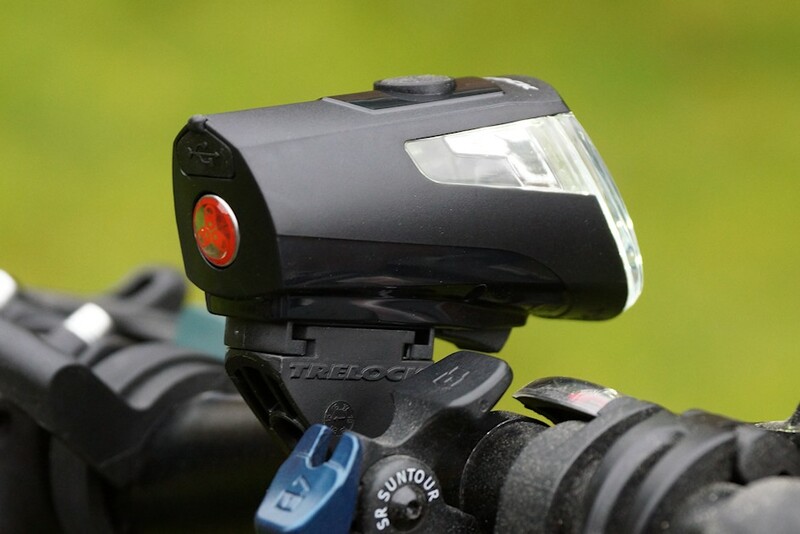 The Trelock LS 360 IGO can be optimally aligned with the bike. The lamp itself is just draufgeklippt on the bracket. 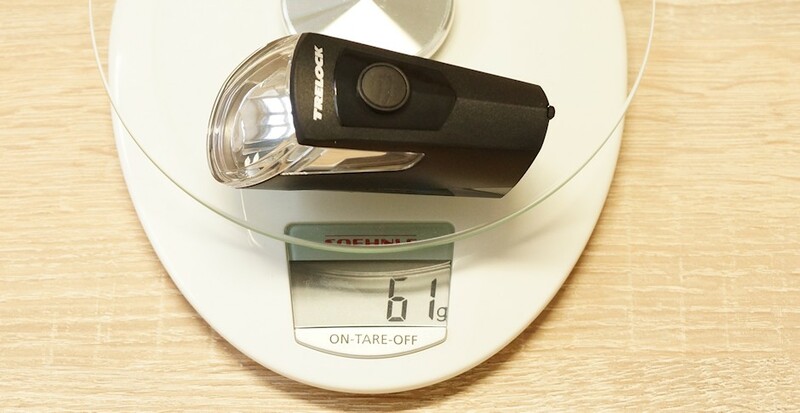 According to the manufacturer Trelock LS 360 should IGO battery bicycle lamp radiation 8 hours 15 lux. We remember 10 lux, the minimum legal requirement. With 15 Lux you got along well in city traffic. If one considers the aspect of yourself to see something on the streets and to be not only seen, it is dimensioned somewhat scarce in the forest or in the countryside. The coverage should extend to up to 35 meters. From other road users to be up to 850 meters had to be taken (the manufacturer). In our test the battery headlights appeared seven hours 45 minutes. Thus, the result deviates by just 15 of the manufacturer information from. This is quite an acceptable result, as external pressures such as the ambient temperature is quite relevant to the battery life. With only 61 grams, the LS 360 Trelock is a true lightweight among the bicycle headlights. We remember the Trelock LS 450 weighs about 114 grams and Trelock LS 750 ION weighs about 143 grams.Of course, one must not compare apples and oranges here, the two heavier lamps each have a higher power and another application. The lamp is a switch with a light ring. This switch is operated, the lamp. Lights of hidden in the switch and under the rubber cover illuminated ring rot, the bicycle headlights must be loaded. During charging, the ring also glows red. we have the ability of the pure on / off via the switch principle. The bicycle lamp shines only in a predefined brightness. If the battery is exhausted, it can be recharged via mini USB. 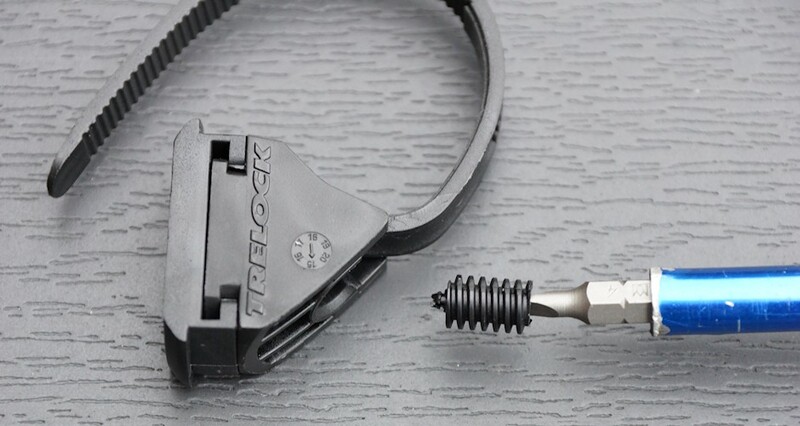 The delivery included charging cable (28 cm long) is connected to a USB port on a PC or to a USB 230 Volt adapter. The manufacturers are pointing out here to work with maximum 500 mA. Also integrated is a lithium-ion battery. To be seen even from the side, the light-emitting area of the LS 360 runs over the sides. So can see the bike quickly approaching from the side road users. Especially when turning this can be an advantage. For the city and getting to work on lit roads and paths, the small and compact bicycle light is optimal. With about 30 euros you get here a reliable partner at its side. The included USB cable is very short, he who does not have his PC on the desk, the need to bend around the lamp to load ever. With fewer than 28, it may even be close with a laptop, because the lamp must always be very close next to the device. If you look at the field of use of the lamp clear the Trelock battery lamp is a good companion in the city. As there was some spray tabs on the air, we pull here points during processing.The low weight, small size and for good battery life make the Trelock LS 360 IGO in test again collect points. Overall, the lamp of us gets a rating of 4.5 out of 5 points.